PUR Cosmetics Chateau de Vine Mineral Lipstick is a luscious age defying lip colour. Specially formulated to perfect your pout, Chateau de Vine Mineral Lipstick has a superior Mineral enriched formula and is available in a selection of mouth-watering shades. 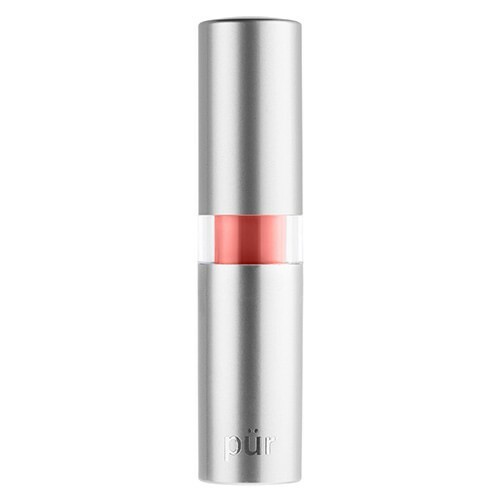 Gliding onto the lips effortlessly to impart rich, delectable colour, this Paraben and Gluten free lipstick effectively reverses visible signs of ageing on the lips such as fine lines and wrinkles and noticeably smoothes the lip surface. Infused with Reservratrox and Vitisin freshly harvested from Bordeaux's finest Wine producing Grapes, Chateau de Vine Mineral Lipstick promotes a youthful lip look whilst visibly hydrating and nourishing the lips. Beautifully buildable for a barely there stain or bold, full cover, this best-selling lipstick is sure to be a Beauty Bay best-seller.